Dr. Ying Wang has studied in the School of Traditional Chinese Medicine in China from 1978 to 1983. Since then he has accumulated over 30 years of experience in acupuncture, traditional massage techniques, herbal studies, and other alternative TCM treatments. He is National Board Certified and holds the Tennessee State License to practice acupuncture. 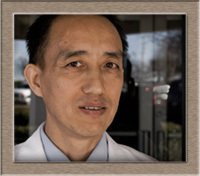 Our clinic was established by Dr. Ying Wang in May 2003 in Cordova, east of Memphis. The clinic offers unique clinical services to those patients who failed to benefit from conventional medical approaches or other alternative therapy, and to those with commonly seen medical pain related symptoms and conditions. Our clinic also offers time-saving customer service, which allows patients to complete all registration and medical history before arriving at our clinic-a great convenience for your busy lifestyle. Copyright 2014 Beijing Modern Acupuncture, LLC.